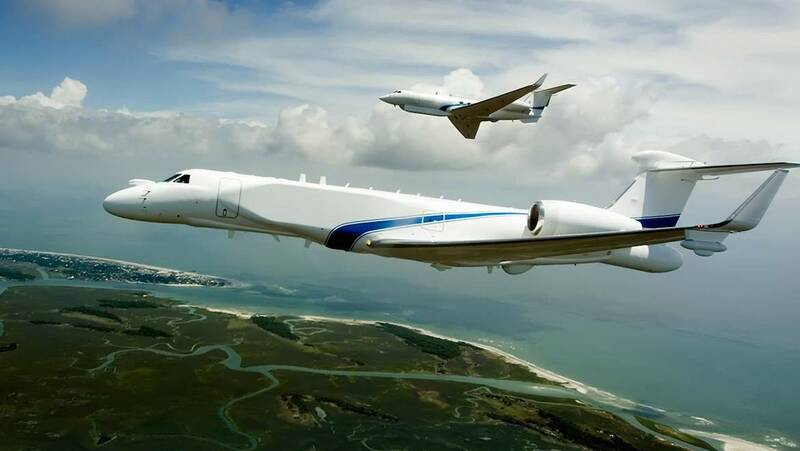 Australia will acquire four modified Gulfstream G550 business jets to strengthen the country’s electronic warfare capabilities. Defence Minister Christopher Pyne and Minister for Defence Industry Linda Reynolds announced the $2.46 billion acquisition of the four modified G550s – to be designated the MC-55A Peregrine – for the Royal Australian Air Force (RAAF) under Project AIR 555 on Monday. The pair said in a joint statement said the aircraft would enable the Australian Defence Force to actively strengthen electronic warfare support to naval, air and land forces for operations in complex electromagnetic environments. Further, the four jets would be based at RAAF Edinburgh near Adelaide alongside P-8A Poseidon, MQ-4C Triton and MQ-9 Predator/Reaper intelligence, surveillance and reconnaissance (ISR) systems. “The Peregrine is a new airborne electronic warfare capability that will be integrated into Defence’s joint warfighting networks, providing a critical link between platforms, including the F-35A Joint Strike Fighter, E-7A Wedgetail, EA-18G Growler, Navy’s surface combatants and amphibious assault ships and ground assets to support the warfighter,” Pyne said in a statement. Although the aircraft will be operated by the RAAF’s Surveillance and Reconnaissance Group (SRG), it was not clear whether they would be integrated with an existing squadron or if a new operational squadron will be created. Also, the joint statement made no mention of when the aircraft would enter service or achieve an operational capability. The requirement for the aircraft was first realised under the former Project DEF 555 which has since been split into discrete LAND, SEA and AIR projects. Those who attended the March 2016 RAAF Airpower Conference will recall then Defence Minister Marise Payne highlighting the G550s in her keynote speech and even using the MC-55 designation for the first time, reportedly much to the consternation of senior Defence officials, although any record of that reference does not appear in the official transcript of her speech. The MC-55A program has been managed through the US Air Force’s 645th Aeronautical Systems Group (ASG), otherwise known as “Big Safari”, an organisation that specialises in the acquisition, modification, and support of special purpose aircraft. “The proposed sale supports and complements the ongoing efforts of Australia to modernise its electronic warfare capability, and increases interoperability between the US Air Force and the Royal Australian Air Force,” the DSCA stated. The Peregrine name continues the RAAF’s recent pattern of naming ISR platforms after birds of prey, with Projects Nankeen and Aquila both being project names for systems operated in Afghanistan. The G550s will be modified by L3 at the company’s Greenville Texas facility. Israel operates G550s modified for ELINT. Are these four in addition to the 2 ‘green’ aircraft purchased in 2018? Gary i would say that they would include any previously announced purchase of Green Aircraft as the req was for up to 5 Aircraft. I dont understand why these craft will be based in Adelaide, considering that the South China Sea will be the flashpoint in future, Tindal,Townsville even Darwin would be the logical choice, flying hours, maintenance and fuel would be halved. The Defence White Paper said: “The government will strengthen electronic warfare support to naval, air and land forces for operations in hostile electromagnetic environments including through the introduction of new long-range electronic warfare support aircraft based on a long-range commercial business jet in the early 2020s.” So exactly what role will these Gulfstreams fill that can’t already be covered by the Wedgetail, Poseidon, Triton and Growlers, not to mention the F-35As themselves? GFORGEORGE – flying hours are negligible seeing as it is only 3 to Darwin. As Darwin is in the Cyclone belt it is not logical to place them there as for Townsville and Tindal, RAAF already has a sizeable EW/ISR support infrastructure in EDN. We are not large enough to replicate this at another base for such a limited fleet of four aircraft. These aircraft are to replace the 4 AP3C that were designed for intelligence gathering, that have been around for the last 20 years. In other words, it’s to spy on our neighbours. GFORGEORGE – the aircraft would simply be forward-deployed to a suitably positioned airbase when and where required. Due to the low Population numbers in Northern Australia it is very difficult to get the Civilian support the ADF needs, ie A lot of deep maintenance is done by Civilians, also getting Defence Families to move North can be difficult, not a lot of Jobs for Partners, opportunities for Kids and so on. It would actually be a lot more expensive to move the Sqns North as the Infrastructure would have to be built up including Basing and accomodation and that would run into Billions, even if you could get enough RAAF Personnel to do it. It’s very expensive to live in Northern Australia. Darwin and Tindal are set up for short Deployments and it’s only a couple of hours flight .from Adelaide. The Poseidon and Tritons roles are primarily Maritime, Triton primarily will do long Range Patrol spending up to 24 Hours in the Air at a time searching for Enemy Naval Forces, Poseidon’s primary job will be to deal with the contacts once made either with ASW Torpedoes for Subs or ASMs for Surface contacts. The Wedgtail is primarily a AEW & Command Aircraft whose primary job is to control the Airspace and all friendly Aircraft in it. Absolute waste of time asking exactly what role the MC-55 will be carrying out, the answer to that is highly classified. What we think they will be doing is Electronic and Signal Intellegence gathering. While the other Aircraft can do this to some degree, the MC-55 will be specialised in this role and just as importantly the Crews will be a lot more highly trained for this role. So $2 billion in modifications on a old design? The list price for a G550 is about $70 million and it should’ve been substatially discounted considering the G550 is an older design that is imminently out of production. The newly designed G600 replacement started deliveries last year. Thanks everyone for your informed responses and esp Raymond for referencing the 2016 article which I had missed. Still very “cloak and dagger” stuff as one would expect. Given the past performance of the Intel Orions, I just thought one or two of the P-8 Poseidons might be given over to this role. The G550s are are good move though, esp more so if they also result in an update of the 604 Challengers in 34 Sqdn which now require replacement, for commonality of maintenance, etc. TATA – the costs quoted for Australian defence acquisitions are through-life / life-of-type, therefore the total cost of the capability for the next x number of years including sustainment etc, not just the initial purchase price. The G550 has already been modified and proven; to do this with a new variant, such as the G600, would delay everything for years while the necessary modifications, testing and certification processes were completed. Think of it as the new variant has just entered the ‘pipeline’ and in a nascent stage. Build any new support Basing they will need. Operate the Aircraft for the next 30 odd years. The only Costs not covered in that total will be any major future upgrades. The actual price of the Equipment tends to be on average about 1/3 of the actual project costs. Which puts it around $200m per Aircraft.